CSBR (coloured styrene-butadiene rubber) is made of granulated tyre rubber. CSBR is coated with quality resins and pigments to achieve a thorough and even coloured coating. 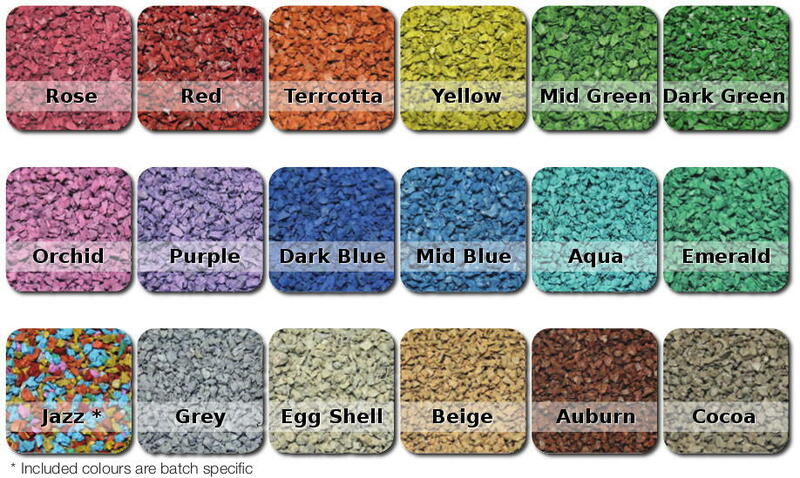 Largest colour range - 18 colours to choose from. Highest durability - Specially developed coating. Best U.V. resistance - Quality pigments and resins. Consistent colours - Produced in 900m2 batches. Produced from recycled Australian tyres - Independently green certified. Great surface elasticity - Nothing compares to the quality of tyre rubber. Easy to lay - Better and tighter surface finishes.